Is All-Wheel Drive Available in the 2018 Toyota C-HR? Can You Get AWD in the 2018 Toyota C-HR? There’s no reason to settle for the 2018 Toyota C-HR when you can get everything you desire, including all-wheel drive, with the 2017 Honda HR-V. AWD is absent from the C-HR, and as a result, it comes off as “completely unsure of what it wants to be,” according to the writers at Motor Trend. The folks of West Michigan want vehicles that they can depend on and enjoy throughout all four seasons, but only the HR-V has the tools (and the toys) that they’ll need to achieve this goal! Despite this Honda’s many advantages, it’s actually more affordable than its competitor from Toyota, to boot. Once you’ve taken the time to explore your options, it isn’t hard to see why more and more drivers in the area are choosing Honda over Toyota. After all, it isn’t only the presence of all-wheel drive that sets the 2017 Honda HR-V apart from close competitors like the C-HR. In addition to its lower sticker price, the HR-V’s advantages over the C-HR include a much more expansive cargo bay and cabin! Where the C-HR offers just 83.8 cubic feet of passenger volume and 36.4 cubic feet of cargo volume at maximum, the HR-V provides 100.1 cubic feet and 57.6 cubic feet of each, respectively. HR-V standard features that one won’t find in the C-HR include a 60/40-split fold-down rear seat, underseat storage, an MP3 player, a CD player, and more. Both the Honda HR-V and the Toyota C-HR remain popular for now, but only one of these vehicles has real staying power. 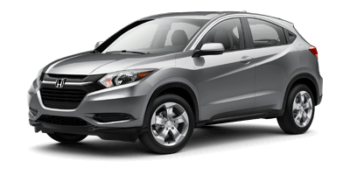 If you’re convinced that the 2017 Honda HR-V AWD has more to offer than the 2018 Toyota C-HR, then take the next step by scheduling a test drive! West Michigan drivers can find their local dealership and learn more about our financing options and current offers today. Contact a representative to get started. 0 comment(s) so far on Can You Get AWD in the 2018 Toyota C-HR?